Say what you will about the world’s most popular running site, Letsrun. As we told you in our Girl’s Guide to Letsrun.com, it can be controversial, rugged, and rough around the edges. But it truly is the internet home of the sport of running. Its founders, twin brothers Weldon (aka Wejo) and Robert (aka Rojo) Johnson, started the website back in 2000. Since then, the site has risen to the top of independent websites for elite running. I’ve been a fan for quite some time so when Salty asked me to do an interview, I had no hesitations! I was quite surprised when Rojo responded to our request almost immediately. For me, getting to interview Rojo is like a 12 year-old school girl getting to interview Justin Bieber. Whether you’re a huge fan like me or never heard of the site, I promise you this interview will get you thinking. As you will read below, these guys continue to stay true to their roots. They are approachable, knowledgeable, and Rojo in particular, is not afraid to speak his mind. Rojo’s responses and insights were so great that we decided to present the interview to you in a two-part series (catch part 2 here). For today’s post, we discuss the history of Letsrun, its mission, its world famous message boards, and delve into the hot topic of women’s athletics. Salty Running: What were the early days of Letsrun like? Robert Johnson: In the beginning, there were two innocents, but not a man and a woman, rather two men in a garden apartment in flagstaff Arizona who were used to working all day and didn’t know what to do with their time as you can only run/do drills/nap for 3-4 hours a day. Two young men that were tired of seeing the sport they loved being promoted primarily as a fitness activity. Thus we started Letsrun to promote the SPORT of running and a main goal at the beginning was to get the knowledge of John Kellogg out there as well as proper training advice. We, and particularly my brother, were riding an unbelievable dream right when LRC was founded and we wanted others to share in that and see their dreams realized. To drop your 10k PR from 29:49 to 28:27 in a single race in the year of the Olympic Trials is remarkable. If we could it, or if he could do it, why couldn’t others? SR: What’s a typical day at Letsrun like now? RJ: In terms of the website ten plus years ago and now, at its heart, I’m not sure there is that much of a difference between then and now. I think we go about producing a website that we want to read ourselves. We try to promote running as en exciting, elite level sport. Somewhere each day, running is a big deal, whether it’s in Boston for the Boston marathon or Atlanta for Peachtree, so we try to figure out where and get it out there. I think the key is that we give you what you want to read. We don’t only link to our own crap like seemingly every other web entity out there. If ESPN doesn’t cover something, it’s not linked to on their website. Many other running websites seemingly operate by that motto as well. They’ll only cover it if they have it, even if that means basically reproducing someone else’s work with no link or a tiny link. SR: What resources do you use when looking for daily up-to-date running information? RJ: Each day, there are about 70 different daily websites that we check to see what the hell is going on in the world of running. I have always said I want to have the motto on Letsrun change each day and one of them would definitely be, “We surf the net so you don’t have to.” Running is an obscure sport for most newspapers but every now and then it’s a big deal. We find out where it’s a big deal on a given day and promote that on our site. We also rely on tips emailed in by visitors as if something isn’t in our regular rotation we might miss it. That’s the best part of it as we’d likely miss something if it was in a small paper. 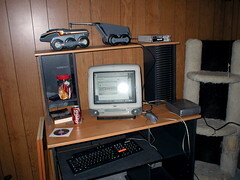 I’m sure other people use computer programs and what not but we pride ourselves on being an old-school site and do it mostly the old-fashioned way. SR: Since the birth of Letsrun, a lot has changed with not only the internet but the sport of running. Particularly, we see an explosion of personal running blogs and also huge increases in race participation. Do you believe this helps promote the sport of running or has it contributed to running becoming more of an individualized activity? RJ: I think your question is really two different questions. The explosion of personal running blogs, Twitter, etc. has been interesting. I think people at first thought that would hurt Letsrun as you can get running info all over now. But I don’t see it that way. People don’t have time to read 40 athlete blogs. They need someone like Letsrun to curate the content out there and see what is and isn’t worth reading. Plus a blog is little more than a PR piece for an athlete; they aren’t getting asked tough questions. I think running is a fitness activity for most Americans. However, the increased numbers isn’t a bad thing. Professional running exists largely because the major marathons and shoe companies siphon off a percentage of the money for the pros. I think it’s largely a charitable act on their part but I am worried that down the road a lot of elite races will say “Let’s not give the money to the pros, let’s give it to charity.” I think that would be wrong as nearly all of these races were started as sporting events back in the day. Stay true to your heart. I also fear the rise of the Competitor Group a bit. I’d much rather see a non-profit like the NYRR, who is focused on the sport of running versus profit, run most of the races in the country. SR: Letsrun (or maybe just its trolls) is notoriously criticized as being elitist, anti-hobbyjogger, and anti-women. What is your response to this criticism? RJ: I don’t think being pro-elite is being anti-hobby jogger. The two really aren’t related or at least they shouldn’t be. I think the site and even those on the message board try to really promote elite accomplishment. I think some website visitors do get bitter when a non-elite accomplishment, like say a Dean Karnazes feat, is promoted in a way that makes him a bigger deal than say a Chicago Marathon winner. They shouldn’t but they do. I think it stems from the fact that some people who are really into running don’t like it when a non-elite performance is equated with being elite. I don’t get why some may be anti-hobby jogging. To me, running is a great activity that everyone should be encouraged to do. However, I just don’t think that someone who plays pickup basketball is the same as being in the NBA. Does promoting a 2:35 marathoner as being a bigger deal than 3:30 marathoner mean I am anti-hobby jogging? As for being anti-women, I think the website visitors are skewed male and thus on the message board you get a lot of guy talk. Whether we wish it to be true or not, guys are interested in what women look like. It’s hard to deny that fact. 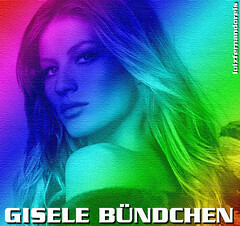 I mean there is a reason why Gisele Bundchen makes twice as much money as Tom Brady. I’m not sure what we really are supposed to do on that front except moderate things to the best of our ability. Do men’s performances get a little bit more front page publicity? Yes, they do. But that’s natural. Given the sexism that exists in Africa and the Middle East, men’s running is way, way deeper than women’s running. However, running and tennis are the only sports in the world where the women’s version is anywhere near the men’s in terms of exposure. And I’m not sure what we are supposed to do with the fact that when watching men’s sports you are watching the “absolute best” versus the “relative best.” For the same reasons that pro sports are more popular than high school sports, I think men’s sports are more popular than women’s sports. Whether we wish it to be true or not, it’s just more interesting for most people to watch a human being long jump close to 30 feet (men’s world record) versus 25 feet (women’s world record). But I take great offense to someone who thinks I’m personally sexist. My first job out of college was working for a women’s professional tennis tournament. That was when women’s pro basketball was starting as well. I remember thinking maybe I should try to work with the ABL, as I thought they were really into promoting women’s sports, unlike the WNBA which I thought was just trying to protect the turf of the NBA. Plus, the first person I ever coached, and really the only semi-elite person I coached before starting at Cornell (Rojo was the men’s distance coach at Cornell for ten years before resigning in 2012), was a woman who was one of the first steeplechase competitors for women at USAs. During our phone conversation, we primarily focused on women’s running as I knew Rojo’s response would likely incite some emotion from our female readers. Personally, I have to agree with him in that women’s running isn’t as big as men’s running. Rojo then went on to frame this as being more of a long, philosophical question. One that goes beyond Letsrun. In general, women aren’t nearly as interested in sports. Is it is a societal thing? A sexist thing? Just as Letsrun continually explores how we all can make the sport of running bigger, we can all continue to wonder what needs to be done to make women’s running (or sports in general) bigger. Or will it never be that big because the interest just isn’t there? SR: I personally love the message boards, trolls and all. I will often search any topic, whether running related or not, to see how like-minded individuals view an issue. What were your original intentions with the message boards? Did you expect a sense of community to form? RJ: The point of the message board was simple and really two-fold. 1) It’s a place where you talk just like you talk when you are on a run with a team. The best part of being a runner is going for a run with a group and just talking. It’s hard to do after high school/college as most people don’t run in groups. We really wanted there to be a place for runners to talk like they do on the run, whether that talk is about running or life. So yes, we expected a community to form. Runners share a bond. For a lot of people, running is a part of who they are, it’s not just a fitness activity. 2) It’s a place where fans of the sport can discuss the sport. With other sports, you can discuss the hot and exciting topics all over the place, whether on sports radio or at the office cooler. With running, without the message board, it’s very hard for fans to find other fans to share their thoughts/ideas with each other. SR: An ongoing argument is whether or not Letsrun should require user registration to post on the boards. At the same time, much of the community that has formed would probably not have happened with user registration. How did you decide to not require user registration? Was it thoroughly thought out? RJ: Pretty much when we created Letsrun, and this is still true today, we created the website we’d want to visit. Signing up for stuff is annoying and something we don’t like doing so why would we make you do it? I wouldn’t say it was really thought out at first, but moderating the message board is something we really struggle with to this day. One thing is clear, we will never require you to give your name to post. We just think that would be awful. Yes, there would be some positives but the fact of the matter is, the running world is a very tight knit one and people are afraid to speak honestly with their name. I’ll make up an example. Let’s say I’m an agent and I’m unhappy the NYC race was cancelled. There is little chance I’d post anything under my name as the NYC marathon controls about 50% of my athletes income every year. If I’m a college coach who loves the coach at the other university in my town but thinks she or he really dropped the ball in this one instance of coaching or meet management, again, it’s not something I’m going to want to say with my name out there. How do you feel about LetsRun? Did this interview change your opinion of it? And, whoa! How do you feel about Rojo’s feelings about the role of women in the sport of running? Don’t think that’s it! You can find Part 2 of Rojo’s interview here. I don’t know where to start! I always thought of the LR message boards as a virtual thrift store: there are tons of things with scary stains and that smell like pee, but if you look hard you might find a mint condition vintage mod raincoat for $3. I love the crowd-sourcing and I like the free-flow of comments. If you ask a serious question you’ll most likely get a great answer, a couple of good ones and a few trolls. Where else can you find about running and catheter ablations?! Anyway, I think the forum craziness makes a lot more sense if you look at it as a SPORT site rather than a running site. I think those that hate it are going there as an active participant of the sport rather than a fan and those that love it are at least both, if not primarily there as a fan. I don’t think any of us would be shocked by the craziness of the LR forums if they were a football fan forum, right? As for the women thing – hmmm. Yes, women’s times are relative best when considering all runners, but I honestly hardly follow the men at all. Womens elite running is way more compelling and interesting to me. Women have to balance so many things that men don’t and for them to reach the tippety top of world competitiveness is simply amazing, no matter what country they come from. They fascinate me in a way men just don’t. And I WAY rather watch that woman jumping 25 feet than a man jumping 30. I think the fact that women’s running isn’t a bigger sport is that the sport sites, tv shows, newspapers, etc. are all run by men. I don’t think it’s up to LR to give equal time/space to womens running if that’s not what their readers want. If we want more on womens running, we, the fans of womens running, need to make that happen. There used to be a site devoted to elite womens running and it was great! It’s been defunct for a few years now. Which leads to the question are women really interested in being fans of the sport to the extent men are? It seems to me more women prefer to do than to worship others who do, if that makes sense. I know I’m in that camp. 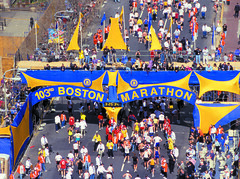 I am a fan to the extent it inspires me in my own running. Great feedback! Were you referring to fastwomen.com? I loved that site! I like your point about how the media covers sports. However, I don’t think the interest is there for whatever reason. When I was pumping gas this morning, I wondered, “is the interest not there because women are socialized to not really follow sports in general? For me personally, I grew up in a sports-loving family with lots of women who went against the grain and could sit around and talk all sports. So it was inevitable for me to become a fan of any sport I was a part of, including running when I first started. I do follow men’s running as well as women’s but another issue coming up now (that will be talked about in part 2 of our interview) is the validity of all sports performances as drug busting is finally being addressed in the mainstream. There was elite-running.com and fastwomen.com. Were they 2 sites or the same site? I forget. My friend Bridget ran the one I was thinking of – I want to say at the end fastwomen went defunct first and elite-running was left before that finally went away to the ethers too. Is that right? I believe fastwomen.com was run by NYRR but not sure about elite-running.com…. I thought they were both started by Allison, who coached at a college, had a twin (Bridget?) and was married to Parker something (used to write for Runners World). I thought elite-running was first; it had the main page and then hosted Allison’s blog along with several others. I might be mixing up sites though. I hate the way my local paper covers running. The men’s first and second place get the headline and women are mentioned somewhere in the article. I once won a 10k. The first 3 men were in the first paragraph. Second paragraph was men’s 5k. 3rd paragraph had a sentence with my victory, nothing about 2nd place, and a sentence about the 5k winner. I remember Allison, but I don’t remember her last name. She also hosted a bunch of blogs that were really good. I met some good bloggy friends through them! She was behind both fasterwomen and elite-running.com, I believe, but I could be wrong. That’s so annoying about your paper! The local local paper here (eastside of CLE) is actually really good about covering running. I don’t think the Cleveland Plain Dealer does much other than the CLE Marathon basic coverage. Great interview, Jinger – an interesting line of questioning. Looking forward to part two! Thanks for checking it out, Gareth! I never miss one of your interviews, Ginger with a J. Thanks Tracie! Part 2 has some fun questions that I can’t wait to share! Great interview, Ginger! I have been an avid fan of Letsrun.com since its inception in 2000 – like many of the long time lurkers at letsrun, I rarely post on the forum. When the site first started, several elites used to post there – it was pretty running intensive and it was awesome! Allison Wade used to run both Fast-men.com and Fast-women.com, via NYRR, and then she started eliterunning.com. I took over eliterunning.com after it had been defunct for a while, but once my first baby came along, I stopped updating. I believe there has been some interest from a few people in getting it going again. Wade has done a lot in terms of promoting women’s running – I am a huge fan of her work (she is well regarded as a race photographer as well). Rojo’s thoughts on women’s running are interesting. I actually think that the tide may be changing, and that more and more women (and men) will become interested in women’s running . . . if you look at the current running boom, women are clearly driving it (women participate in every distance from 5K – half more than men, and they are right on the heels of men in the marathon). My hope is that as more women join the sport, and as more women become interested in not just finishing a marathon, but PRing, that they will take an active interest in the sport from a fan’s perspective. Running is pretty democratic in that we all get on the same starting line and go; we have more access to our professional runners and I think we (fans of the sport, the media) can capitalize on that. Salty’s point about who dominates the world of sports really resonates as well. Men sit at the helm of most major sporting networks, sites, newspapers. Once we can get more women into positions of power and influence, perhaps women’s sports will gain the marketing power and finesse that men’s sports currently enjoy. Culturally, I think more boys and men are raised to gravitate toward sports and be fans of sports. I hope that continues to change with every successive generation of women (particularly in Africa, where women runners are reinventing gender norms and shattering gender barriers). Sports are massively beneficial to young girls and women in terms of body image and self esteem. From a purely practical perspective, I think a lot of women are plain busy juggling many different roles in their lives: professional, family, friend, philanthropy. At the end of the day, I think a lot us don’t have the time – or don’t make the time – to sit down and surf the web and truly enjoy our sport. I know as a mom of two, I rarely visit the running sites that I used to on a daily basis. It makes me sad. Thanks Bridget for the clarification on the old websites. I hope that they or others like them get picked up again…or we will continue to try to fill that void! Very interesting point about women juggling lots of responsibilities. As someone who is on the cusp of reaching that ticking biological clock, I’m really starting to question if I am just too selfish with my time to add more responsibilities. I’m sure men have added responsibilities as well, at least the good men who care about their families, and face the same types of decisions but I think they do have it ingrained into them socially to follow sports, use their time to dissect it, watch it and read about it more than women do. As much as I’d like it to be, I really don’t think the interest is there. I think their rationalization that more coverage given to men is reasonable because more men are fans of the sport is outrageous. I don’t understand the assumption that someone would only be interested in the participants of the sport who are of the same gender. As a fan of running, I am a fan, sure, of Kara Goucher, Shalane Flanagan, Desi Davila, Paula Radcliffe, Tirunesh Dibaba, Catherine Ndereba, Grete Waitz, and too many others to count. I am also a fan of Ryan Hall, Meb Keflezghi, Abdi Abdirahman, Mo Farah, Galen Rupp, Yuki Kawauchi, (and, again, too many others to name). To me, running is exciting to watch, no matter the gender of the participants. As to their contention that men’s running is more exciting because it is at a higher level (ie, faster)… Well, that, I hardly have words for. Do we enjoy bicycle racing more than foot racing because it is faster? Do we enjoy car racing more than that? Men and women have different physiological strengths and weaknesses, which results, generally, in top men being slightly faster than the top women. However, a woman running a 2:20 marathon (or in that ballpark) is every bit as impressive, to me, as a man running a 2:05. Watch the last bit of any major race that has resulted in a close finish and there is no doubt that the women were absolutely at the peak of fitness, racing to the absolute best of their ability and to the very limits of what they were physically capable of. Also, something else we talked about was whether or not it is a gender thing or an age thing when it comes to runners following elite running. We both mentioned the phenomemon of many collegiate runners not knowing who Catherine Ndereba or Haile G are….given that this occurrs across gender, is it that the younger generation is more interested in personal achievement? This is more of a general comment, but I am fascinated by the line of reasoning that something doesn’t generate much interest, so X media outlet won’t cover it (particularly online, when we aren’t talking column inches and print costs). When in fact, covering it would generate more interest, more fans and even future athletes in that sport! I understand it’s a little different reading the interview, and that it’s hard to get the full picture, but I don’t know how to parse “For the same reasons that pro sports are more popular than high school sports, I think men’s sports are more popular than women’s sports.” other than as a comparison between women’s elite level running and a high school track race. That’s a good point, Meaghan. That line is pretty harsh. Men : pros :: women : HS athletes. Ouch! And bullsh%t! I want to clarify one key point regarding the HS comment. I wasn’t trying to compare women’s running to HS running (even though I know elite boys HS times are very similar to elite women’s times). I thought my long jump analogy was a good one along those lines. I’m not saying I know for sure that’s the reason. But normally being better on an absolute scale leads to popularity – but not always. When I was working in women’s tennis and you had kournikova, the williams, hingis on the women’s side and Sampras on the men’s, I way preferred the women’s game. The men’s game was boring as sampras had such a dominating serve on grass, there were no rallies. The women’s game, because it was slower – had longer points – and was more interesting to me but the big part of that was it also had way better rivlaries at the time. Now, I prefer the men’s game as the Big 4 are just incredible. Their points rivalries are incredible and they are so athletic the points are long as well. I know what you’re saying, but it still comes off pretty harsh and it’s easy to interpret that analogy as pretty derogatory to women athletes. I don’t think you personally are – I think it’s pretty clear you have a high degree of respect for women athletes and are explaining why you think others do what they do or like what they like. I enjoyed reading your post and learning more about LRC. Personally, I prefer their website better because they do focus on the competitiveness of the sport at all levels. The message boards crack me up.. sometimes I feel like it’s people just wanting to stir the pot for the sake of stirring the pot. Looking forward to part 2! Great job! Yes, those boards are entertaining! How have I not known about SaltyRunning or LetsRun before? So glad to have found you. Looking forward to part two of the interview. By the way I agree. I am pro elite accomplishment and pro (I wouldn’t call it hobby running) but living an active lifestyle running. Glad you found us (and Letsrun), Ann! Welcome! Welcome! We’re so glad you found us! Great interview! I’m not a LetsRun regular by any means, but I really admire how they have grown online coverage of running as a sport. I definitely agree with what Salty said about the message boards…. message boards for any sports team are crazy! I am intrigued by Rojo’s comments about Competitor Group. I have wondered the same thing myself about massive for-profit races and what motivation those types of races really have to listen to runners or what value they add to the local communities.